The semifinals began with both teams representing a respective Washington winning their game one series. 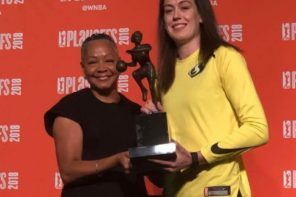 It has concluded with both of those teams having a chance to play for women’s basketball’s signature prize – a WNBA title. It began when the Washington Mystics traveled to McCamish Pavilion in Atlanta for Game 5 with the Dream. 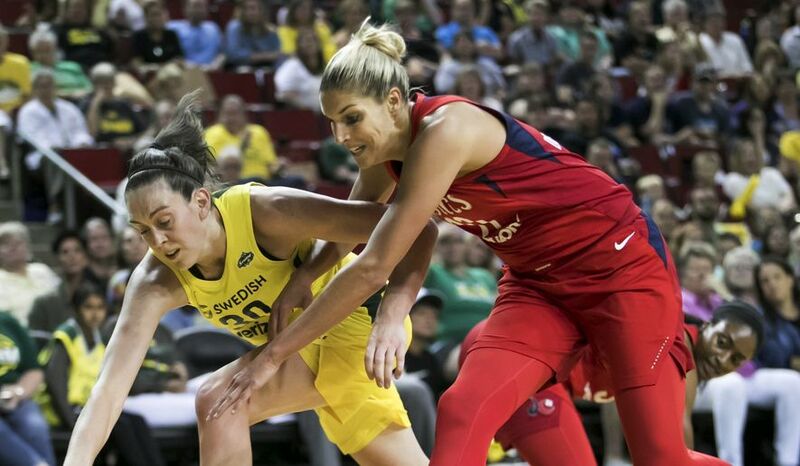 The game was a far distance from Game 4, which looked less like a basketball contest and more like a Mystics coronation with the return of Elena Delle Donne from a knee injury. This one was close until the end, but the Mystics simply came up with more points and more plays than the Angel McCoughtry-less Dream that night as Washington pulled off an 86-81 victory to advance to the franchise’s first-ever WNBA Finals. Delle Donne, despite her 14 points, and 11 rebounds, was not even the main reason for the Washington win. What made a bevy of the difference was the play of Aerial Atkins. She had 20 points, seven rebounds, six assists, and made all eight of her tries from the free-throw line. Also a factor, as usual, is Kristi Toliver, who scored 19 points. Tianna Hawkins also came up with 17 for the Mystics off the bench. The Dream’s leading scorer was off the bench in Alex Bentley with 16 points. Renee Montgomery and Brittany Sykes finished with 15 points each and Tiffany Hayes finished with 13. Elizabeth Williams tallied 10 points and Jessica Breland pulled down 12 rebounds. As for the Storm, they did have the advantage of playing a Game 5 on their home floor at KeyArena. The question for Seattle was how they would handle the situation given they had a lead for most of Game 4 only to relinquish it late. A potential reason for that was an inadvertent nose injury to Sue Bird, who has had a history of similar issues throughout her career. She responded with a banner game, scoring 22 points and going eight out of 18 from the field, willing Seattle to a 94-84 victory over the Phoenix Mercury. 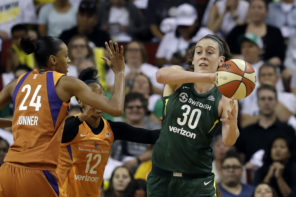 Breanna Stewart may have led her team – and all scorers – with 28 points en route to her first WNBA Finals, but it will be the play of ageless wonder that will get all of the headlines in the Seattle area. Alysha Clark finished with 13 points. Another advantage the Storm had was their bench, which was led by 11 points from Sami Whitcomb and seven from Jordin Canada. Seattle’s bench outscored Phoenix’s 18-2. All five starters for the Mercury finished in double-digits for points. Brittney Griner had 21 along with nine rebounds and four blocked shots, Yvonne Turner scored 19 on eight out of 17 shooting and Diana Taurasi finished with 17. DeWanna Bonner came away with 14 points and Briann January contributed 11 to the Mercury’s efforts.